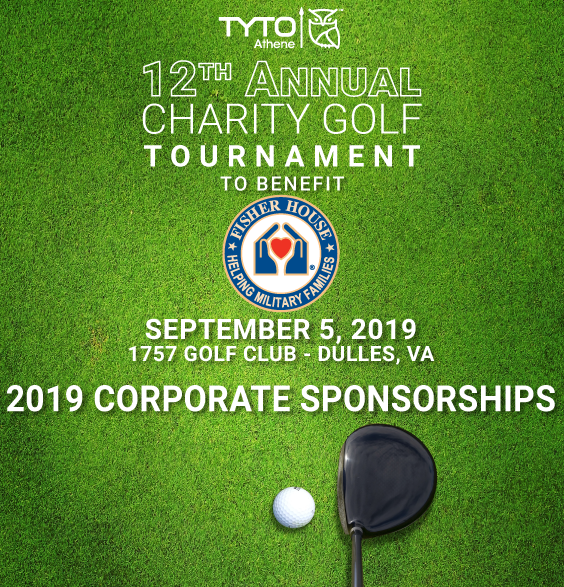 Herndon, VA – Tyto Athene announced that its annual Charity Golf Tournament to Benefit the Fisher House Foundation will be held on September 5th, 2019 at the 1757 Golf Club in Dulles, Virginia. This will be the 12th year Tyto Athene has held a benefit event for The Fisher House Foundation. The first golf tournament was held in 2010 to raise funds for a local Fisher House to be built at Fort Bragg, North Carolina. Over the years, Tyto has raised over $170,000 for the Fisher House Foundation. To maximize the funds donated, Tyto covers all of the costs associated with the tournament so that all sponsorships and golf fees are donated directly to the Fisher House. For more information on sponsorships, to register to golf or to make a charitable contribution, please contact Julene Slusher at 703-885-7829 or julene.slusher@gotyto.com. The Fisher House is a private-public partnership supporting members of the Armed Forces, retirees, veterans, and their families. This program recognizes the sacrifices of our military by meeting their needs beyond that normally provided by the Department of Defense and Veterans Affairs. Fisher House Foundation donates “comfort homes,” built on the grounds of major military and VA medical centers, enabling family members to be close to a loved one at the most stressful time – during hospitalization for an unexpected illness, disease, or injury. Annually, the Fisher House program serves over 10,000 families and has made nearly 3 million days of lodging available to family members since its inception in 1990. By law, there is no charge for any family to stay at a Fisher House.